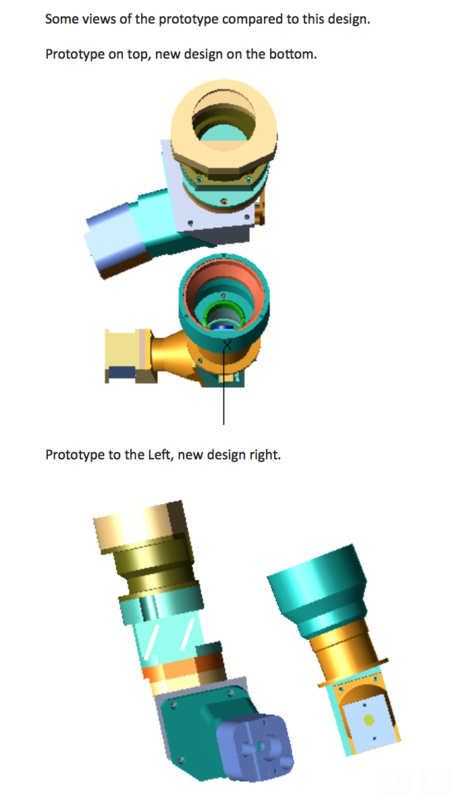 We finished the optic design for the next prototype (pre-serial optic) at the end of February. The mechanical design was 100% completed at end of March. 1) We reduced the volume of the full optic system by 30% and both the height of the projection optics and the length of the illumination systems by 10 mm. 2) Moved all optics forward by 12mm, to improve safety. 3) Made exit pupil 1.7 times bigger from 7 mm to 12 mm. Better to find optic pupil in the shell in any head position in the helmet. 4) Changed focal length from 3 meters (2nd prototype) to infinity (3rd prototype). 5) Reduced ghost image in prototype. 6) Made better color uniformity in optic system. 7) Made better aerodynamics, like the classic modular helmet shape on the market. 8) Made R&D work in PCB design, to prepare autonomy prototype. 9) Reduced optic weight 3 times from 234 grams to 84 grams. 10) Made optics sharper 2 times. The same optic quality in Telescopic sight. Much better than previous prototype or HoloLens as example. ULTRA RETINA QUALITY OF OPTIC. DO YOU KNOW WHICH RESOLUTION as example in MSFT HOLOLENS? 1.7 arc minutes per pixel angular resolution as Hololens and and its not enough…Human eye require 1 arc minutes per pixel. DO YOU REMEMBER YOUR EXPERIENCE WITH YOUR FIRST RETINA IPHONE? WHICH RESOLUTION OUR PROTOTYPE C? 0,84375 arc minutes per pixel angular resolution. IT’S ABSOLUTELY THE SAME DIFFERENCE LIKE SMARTPHONES AND FIRST RETINA IPHONE. Andrew, Founder and CEO Livemap.